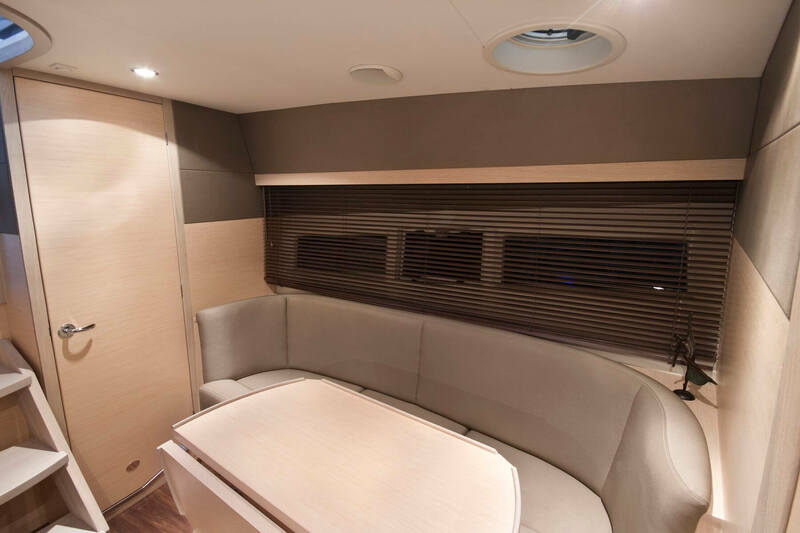 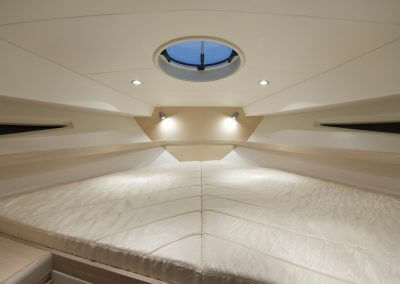 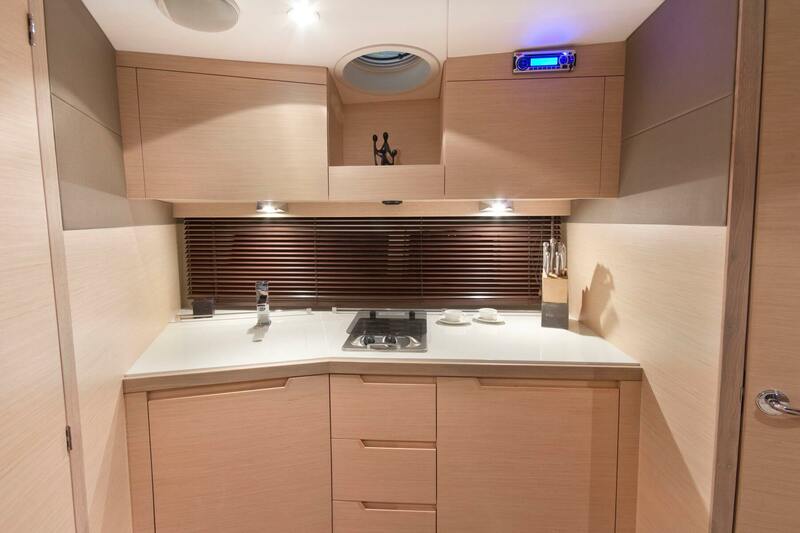 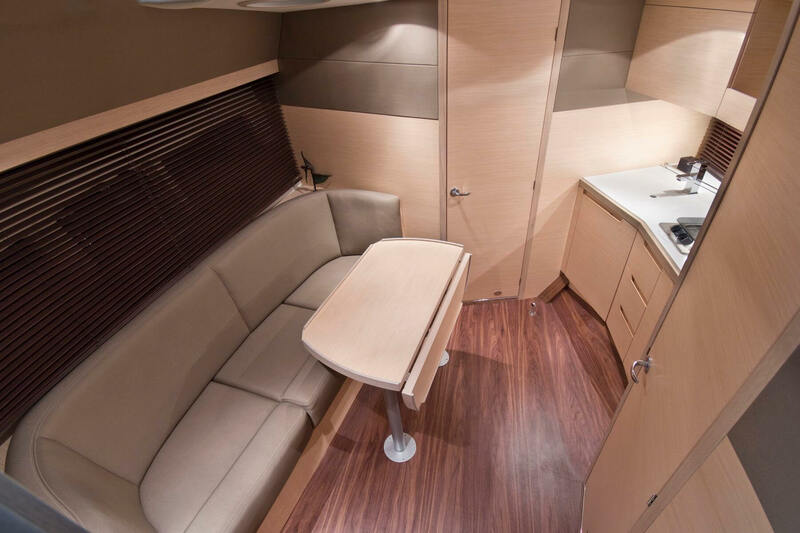 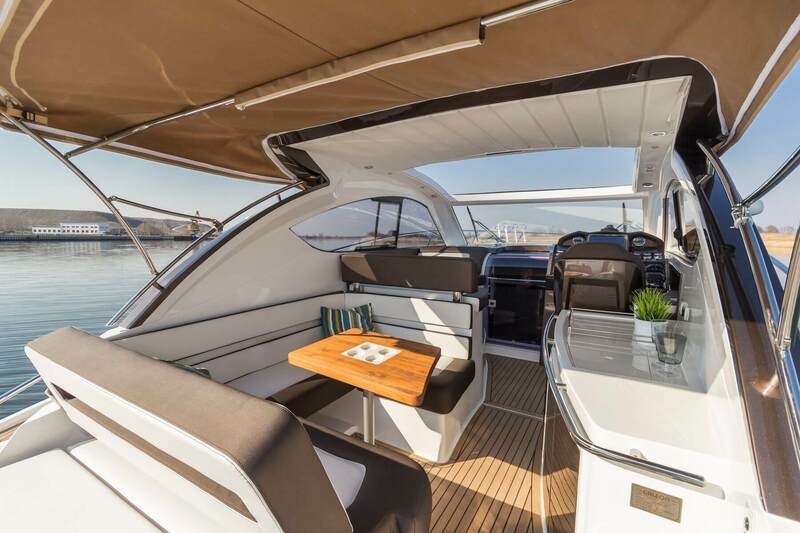 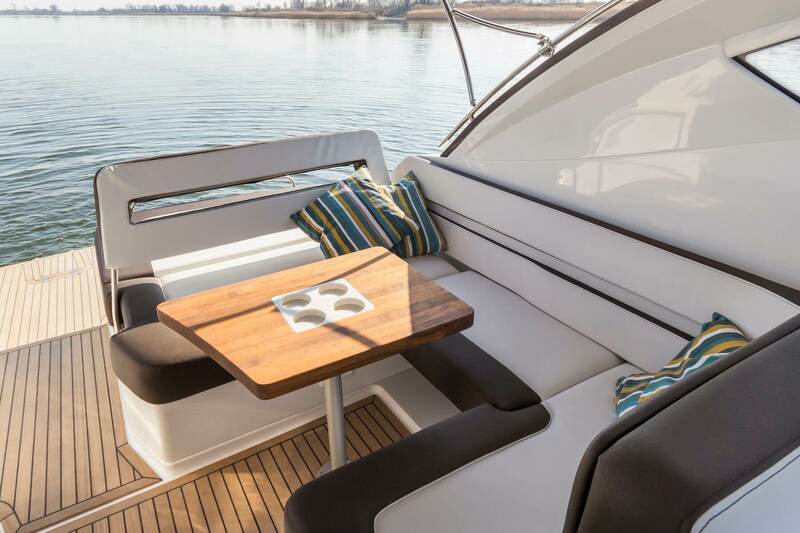 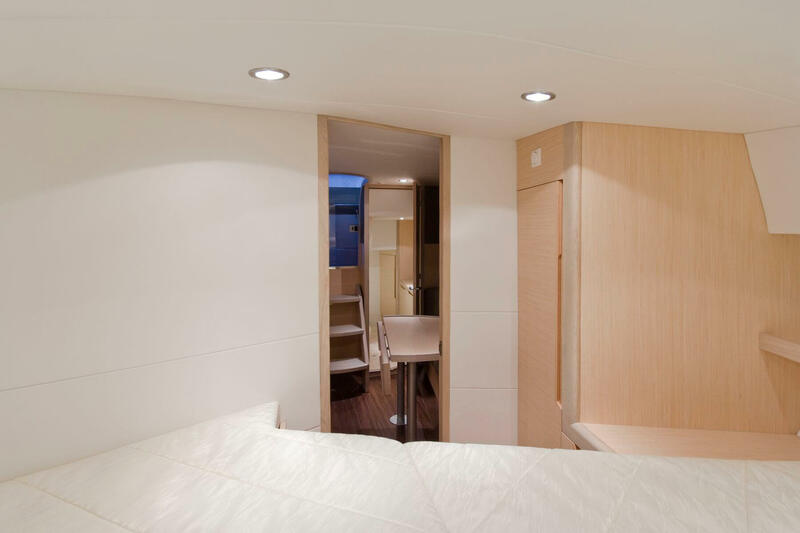 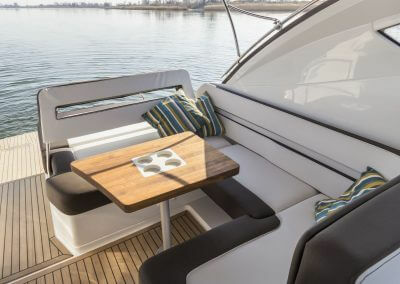 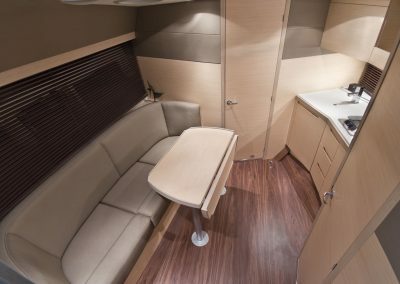 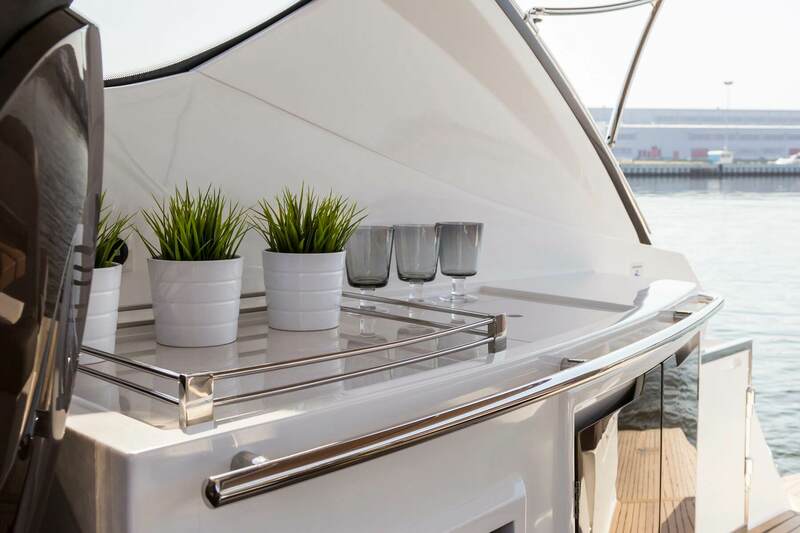 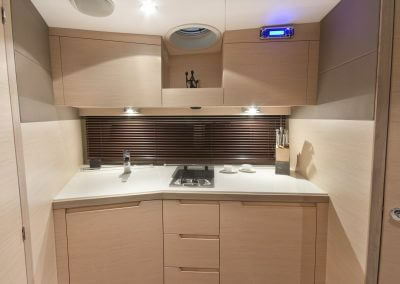 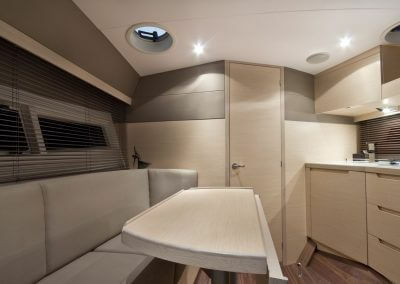 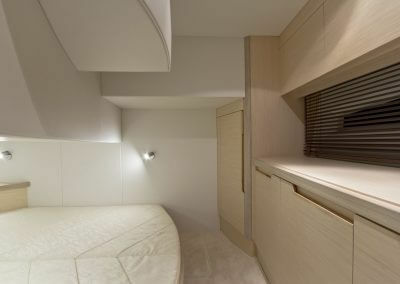 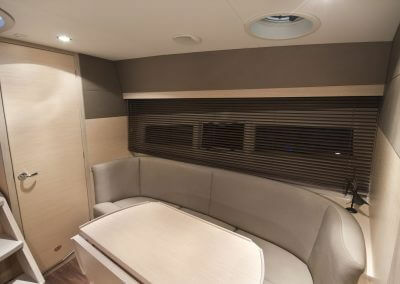 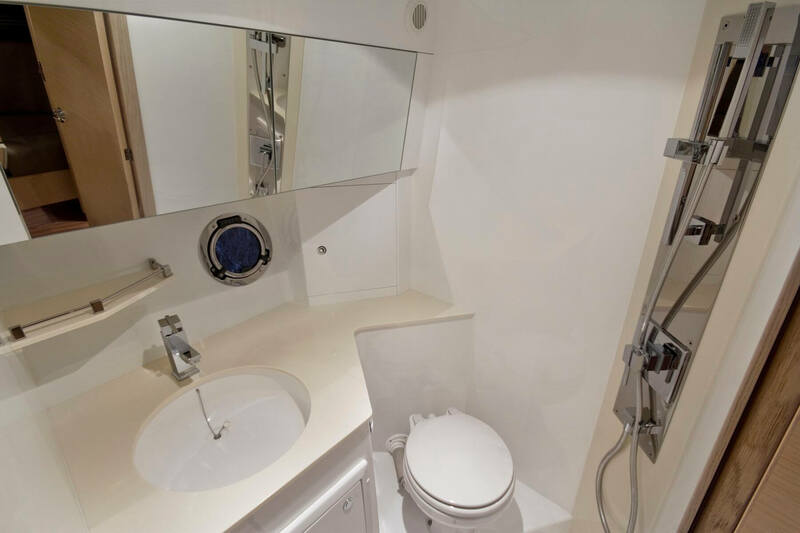 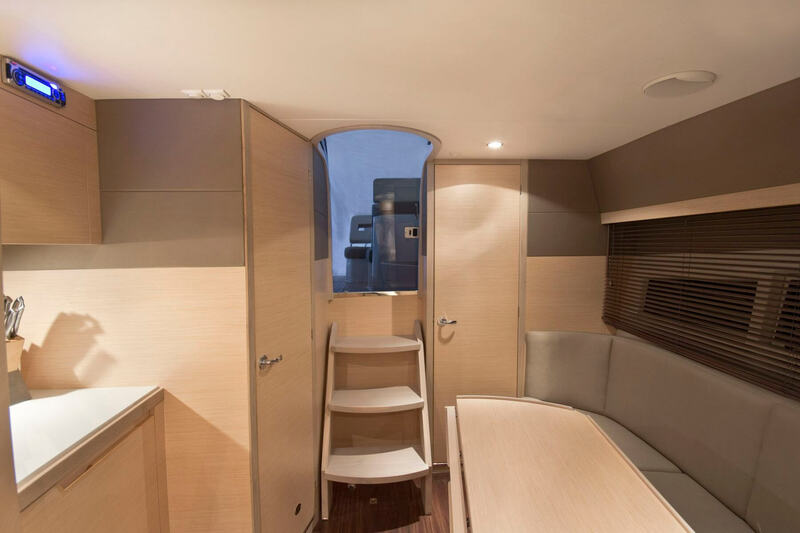 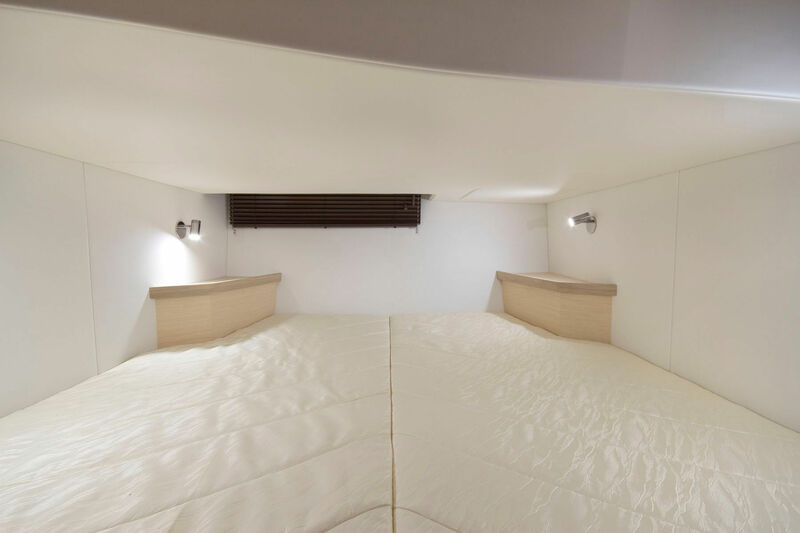 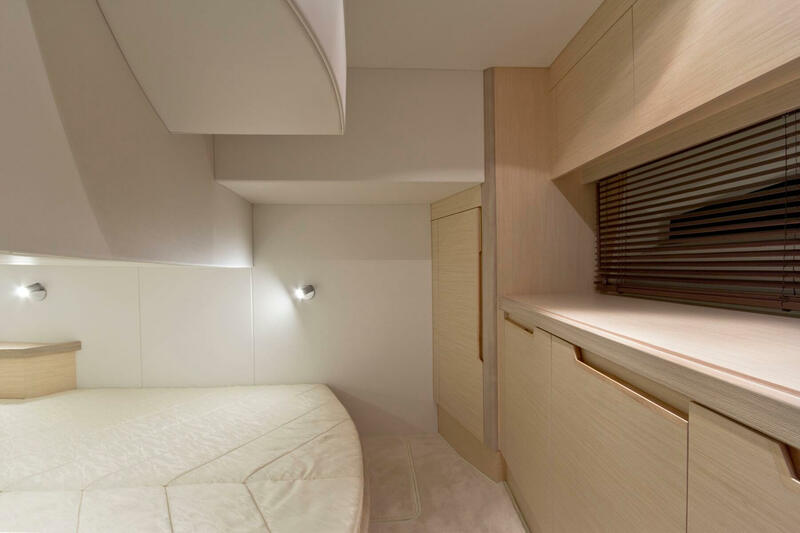 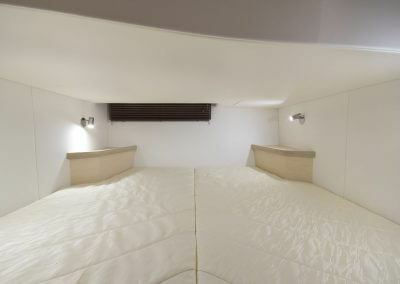 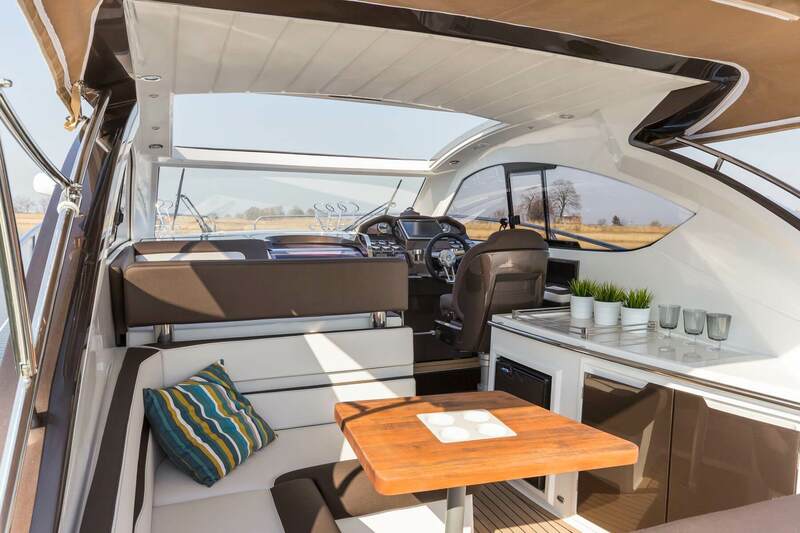 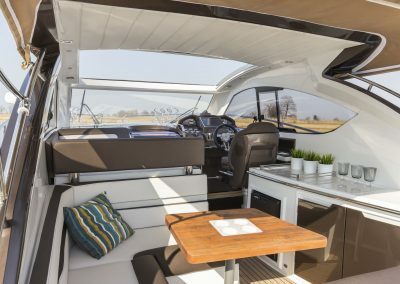 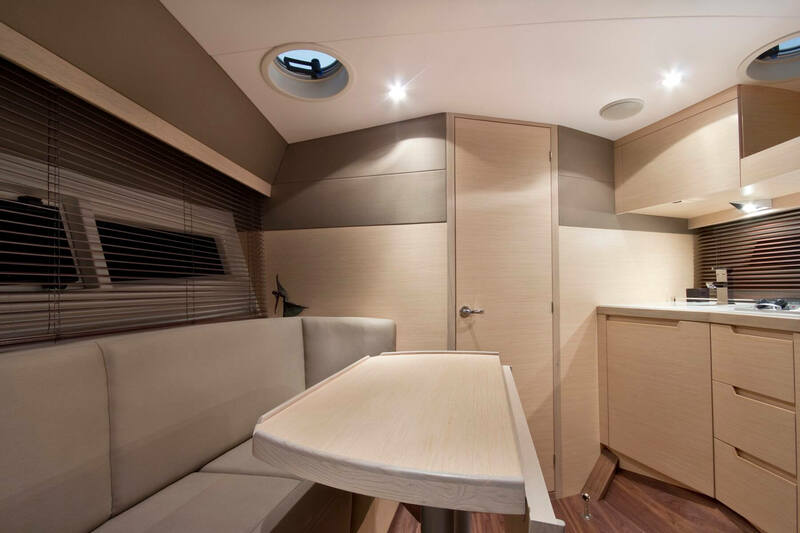 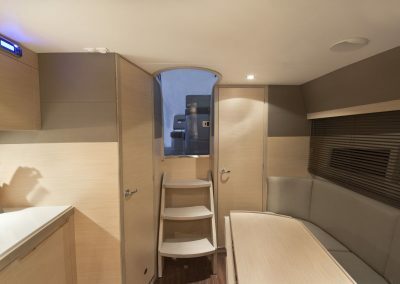 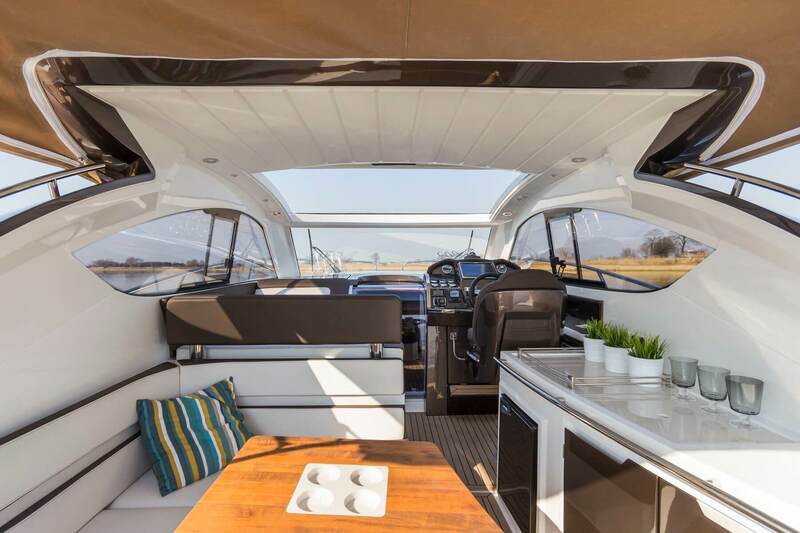 Down below a comfortable saloon with functional galley boasts plenty of space for dining and relaxation. 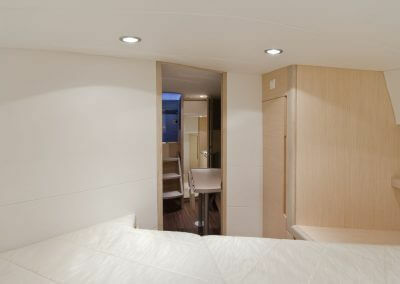 Both the owner and guest cabins contain double beds and assure total privacy. 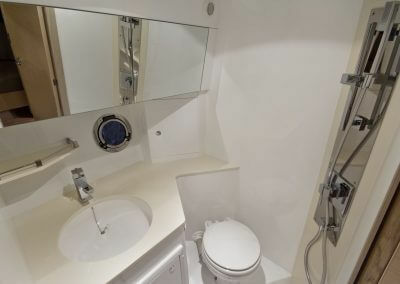 The bathroom is complete with a sink, shower, and toilet. 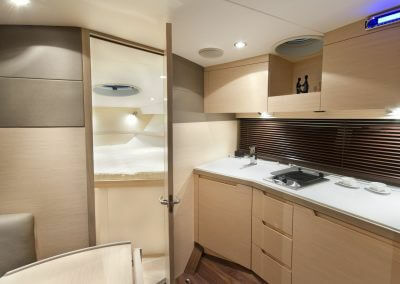 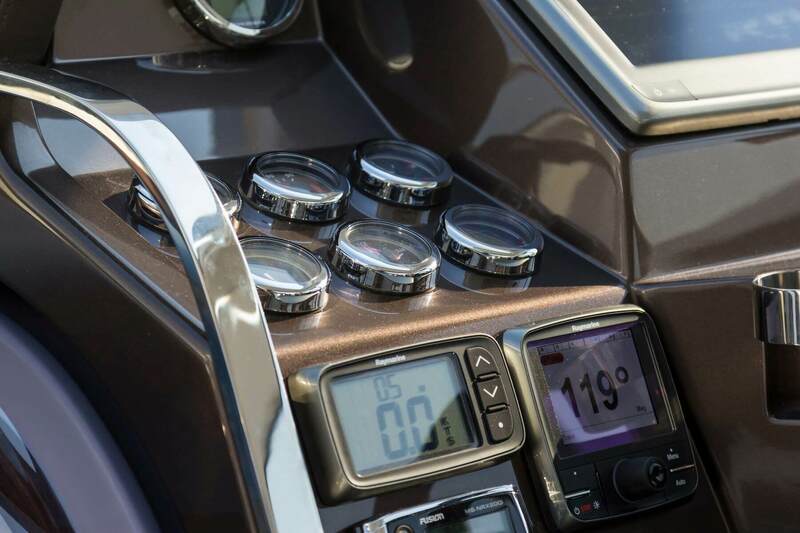 Select from a variety of interior finishes and additional equipment to fully customize your yacht. 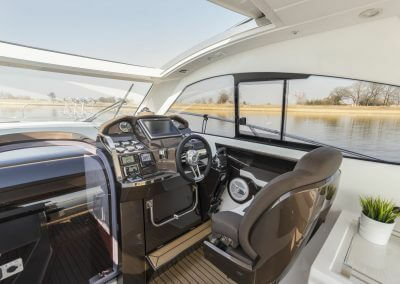 A clever seating arrangement in the cockpit is responsible for the abundance of space for leisure and activities. 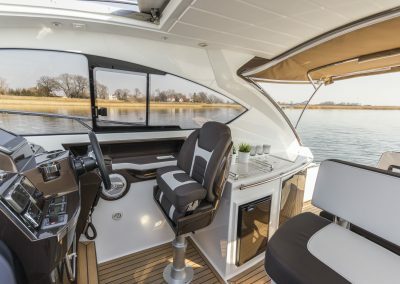 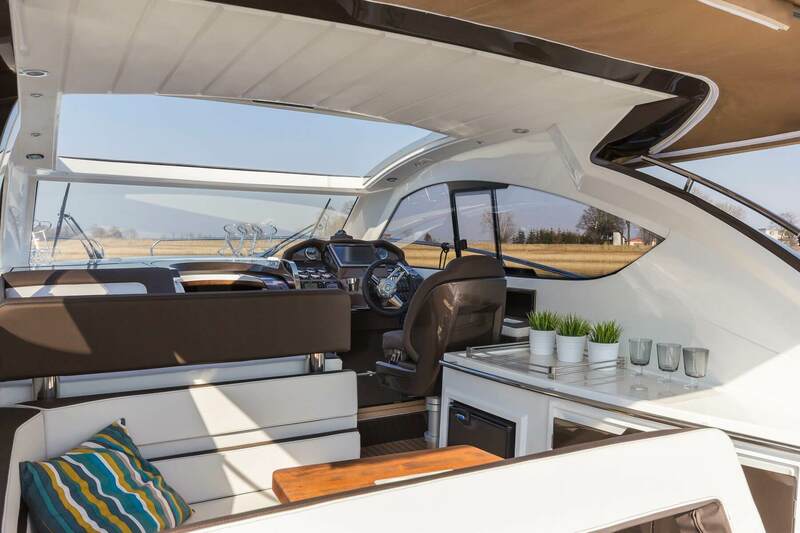 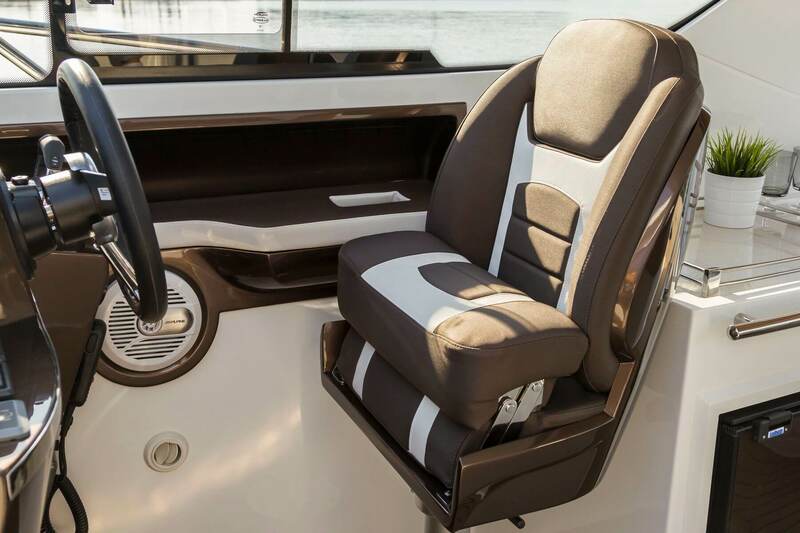 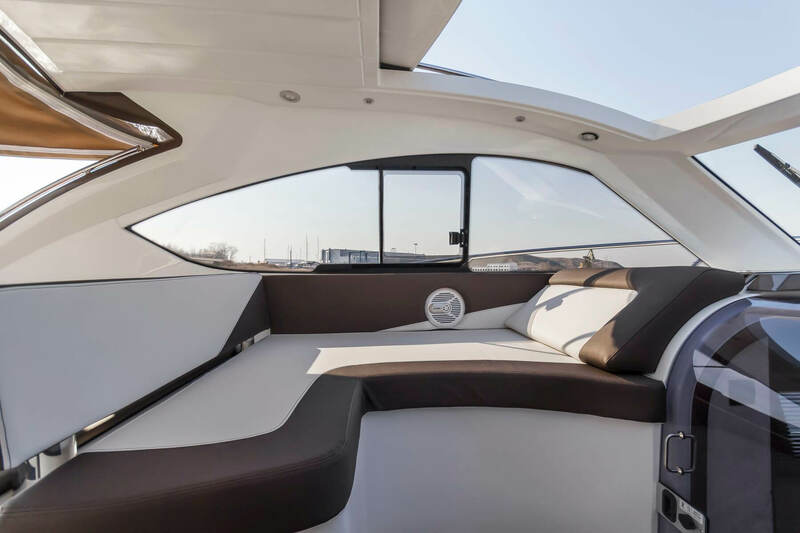 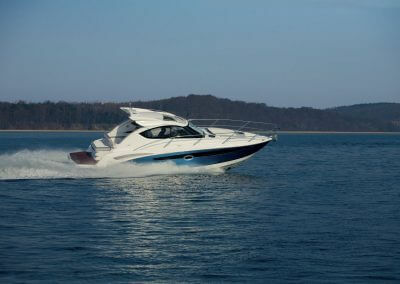 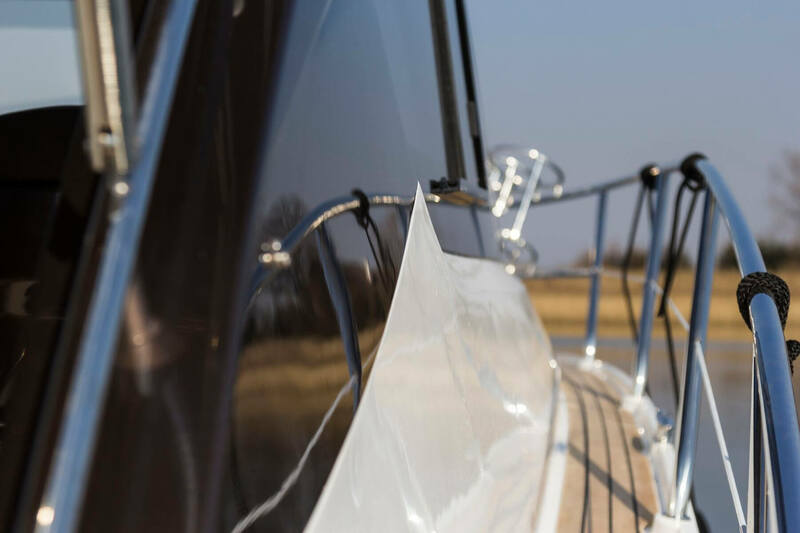 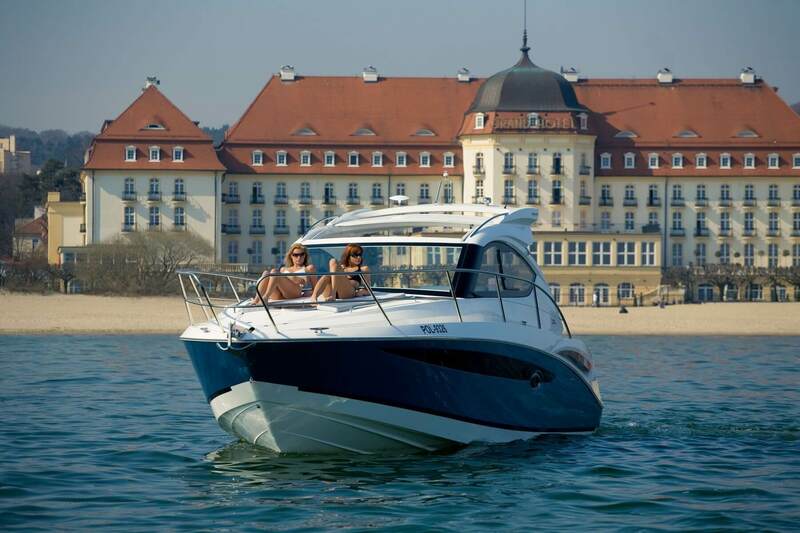 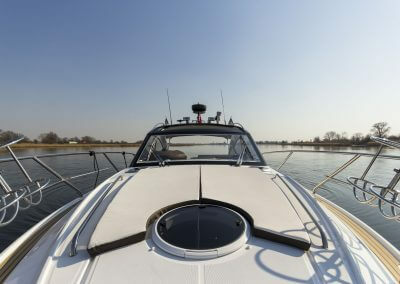 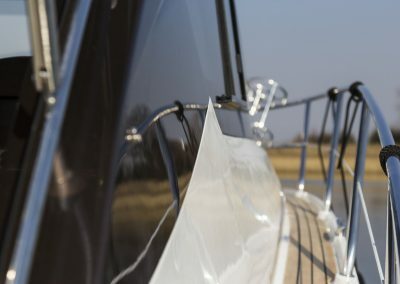 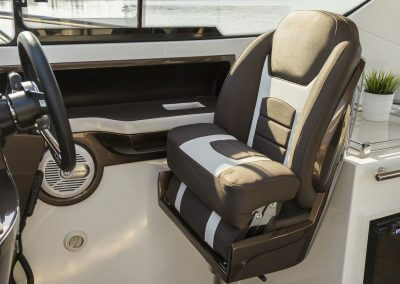 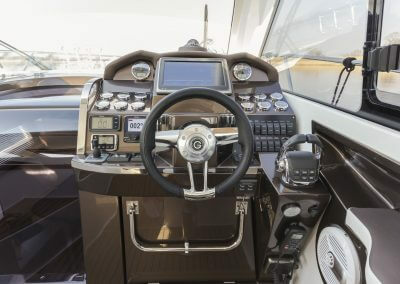 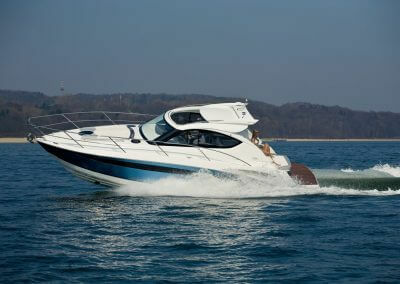 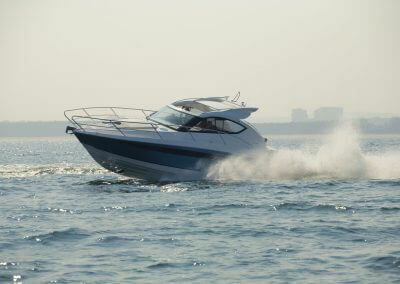 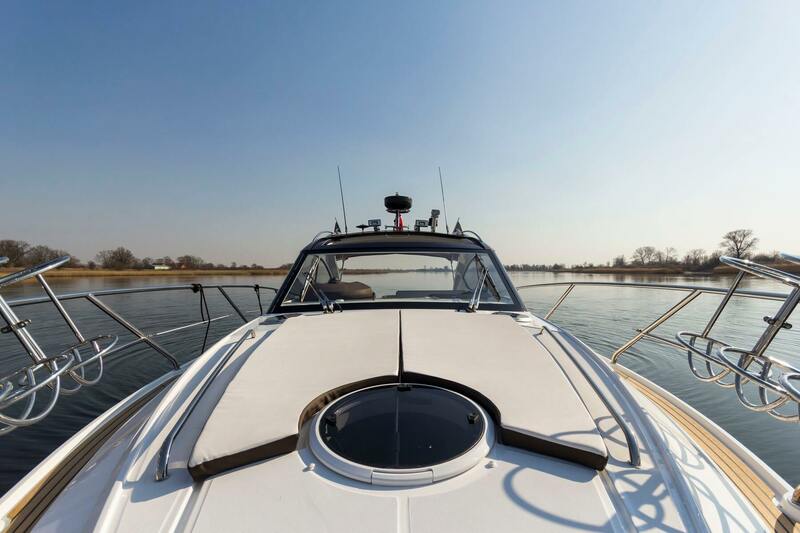 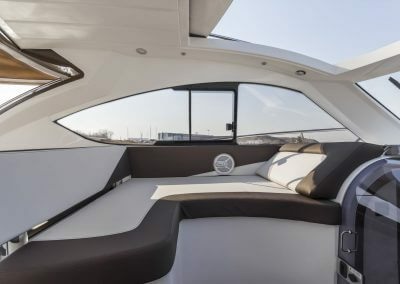 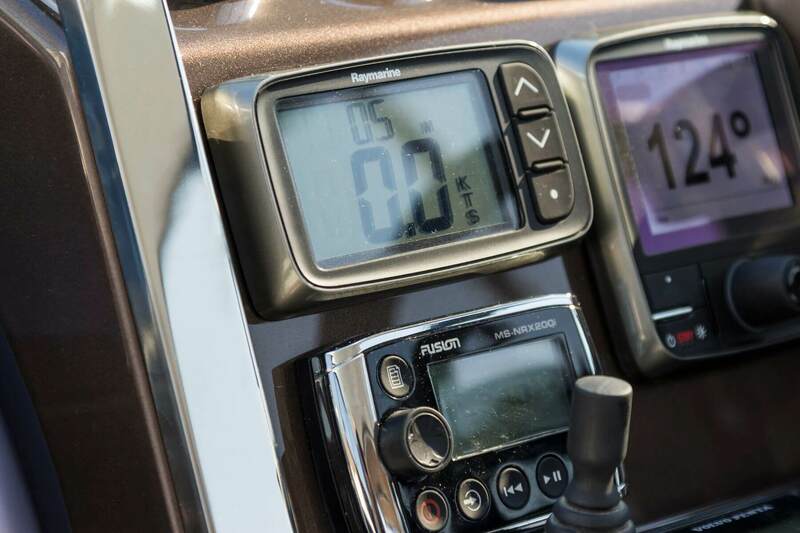 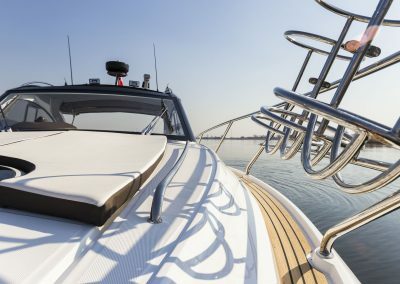 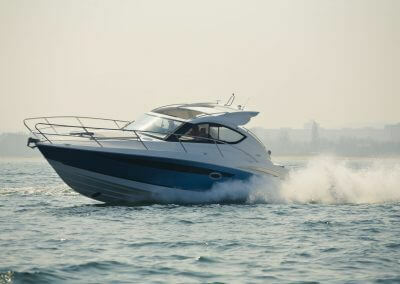 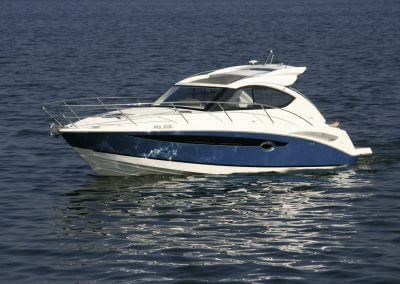 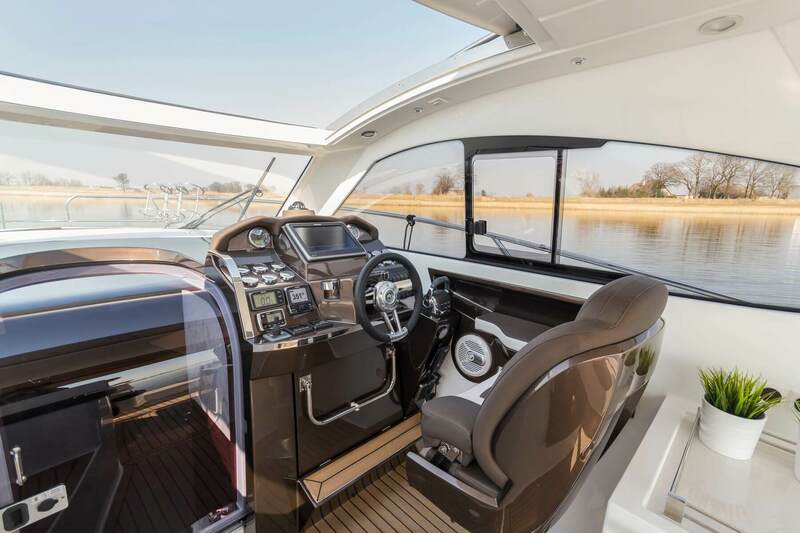 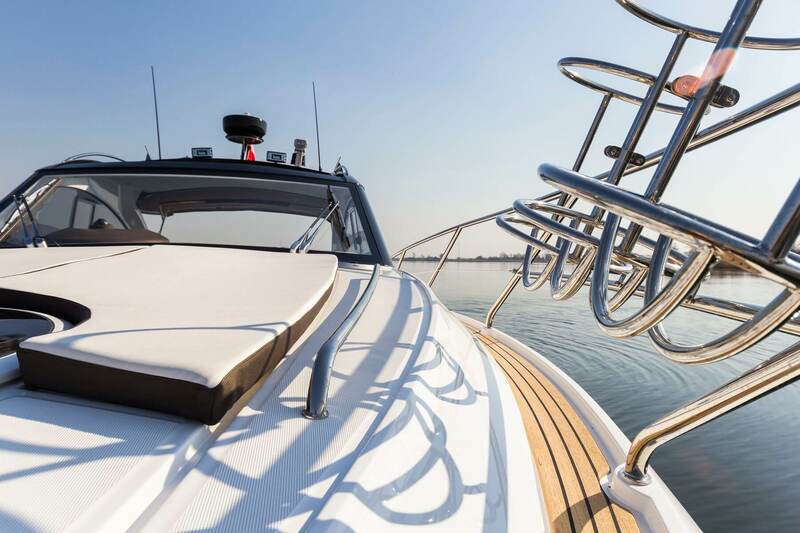 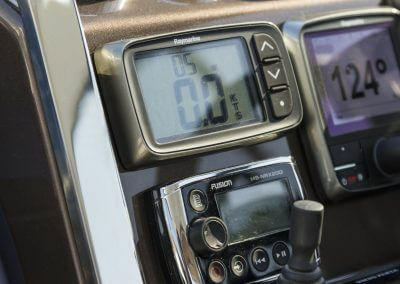 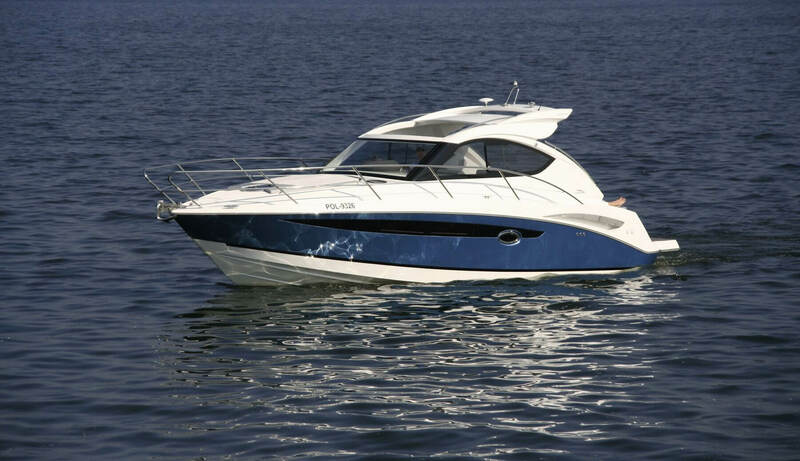 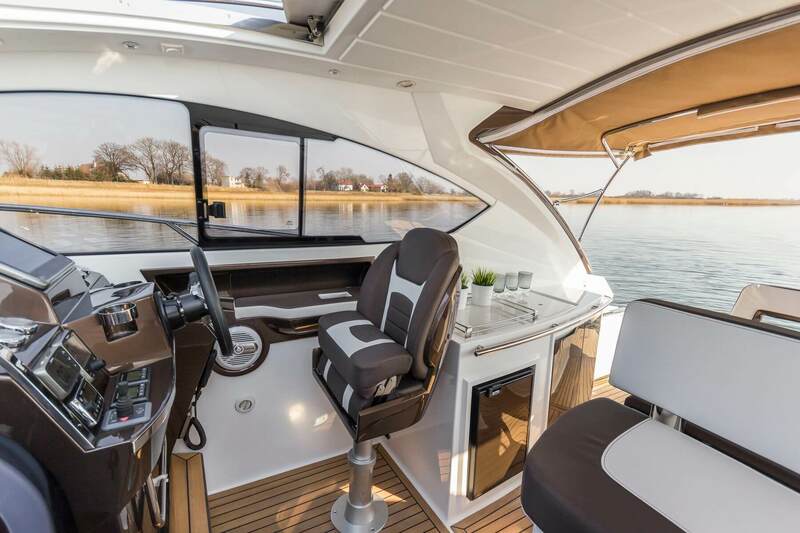 The driver can opt for both sitting and upright positions for optimum visibility and control of the yacht. 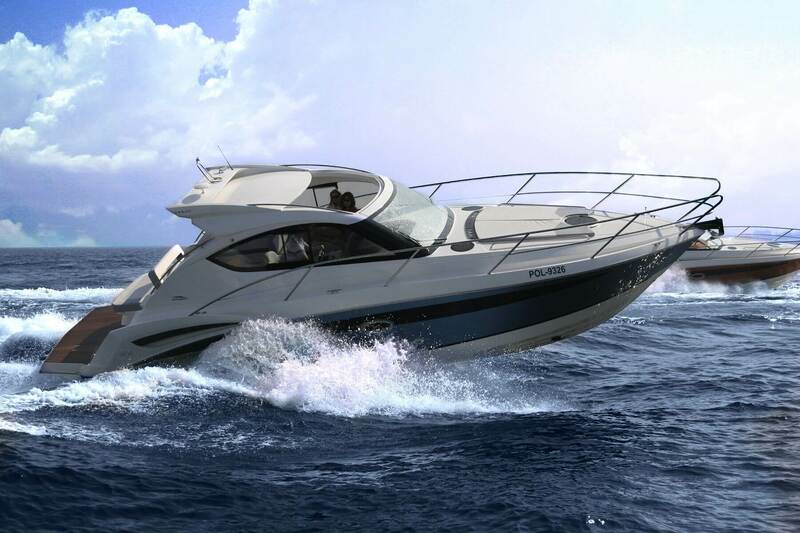 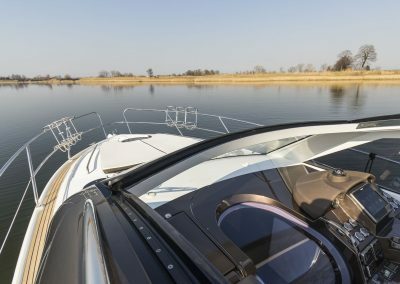 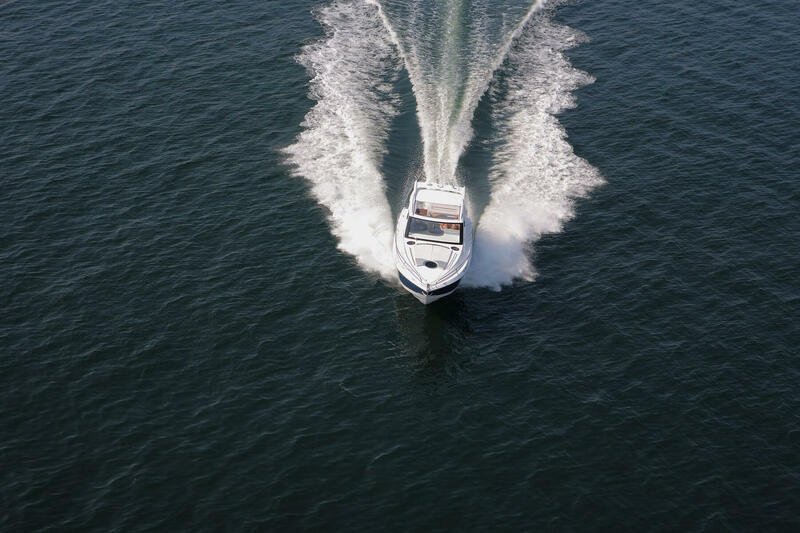 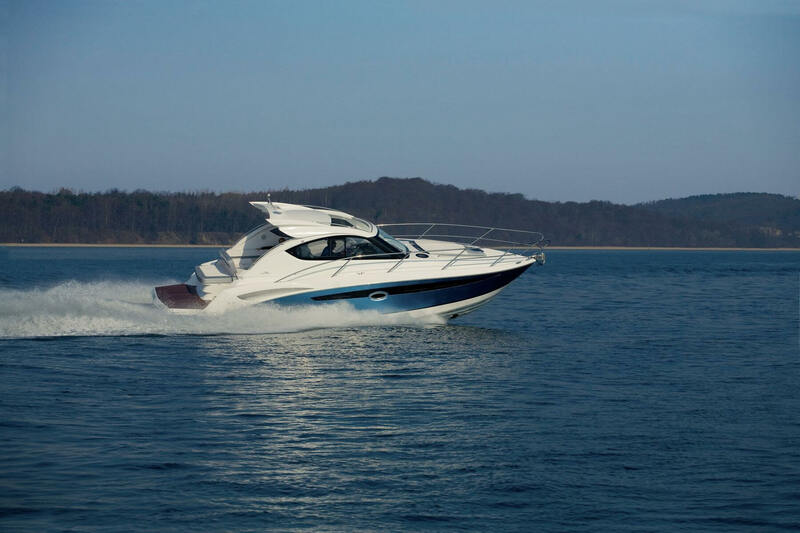 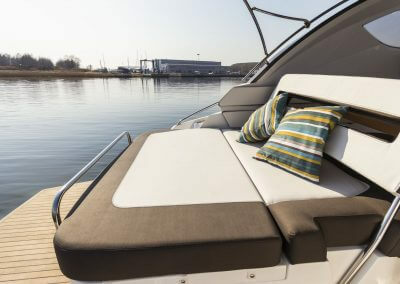 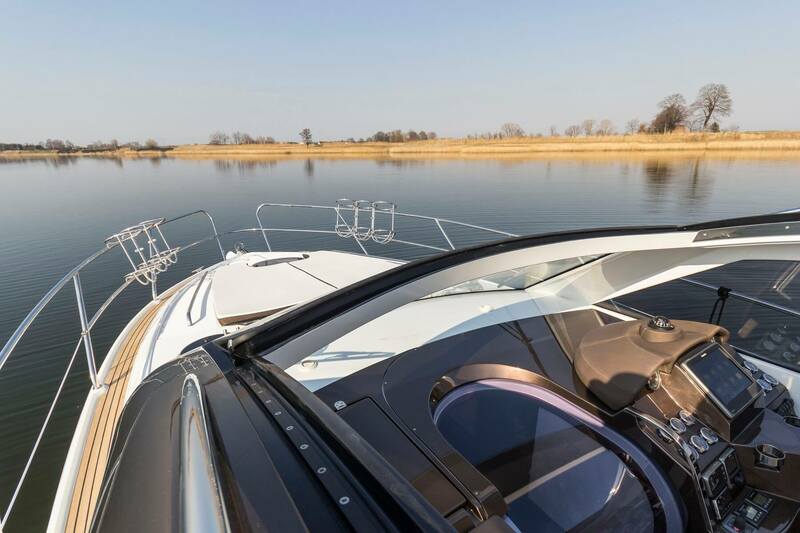 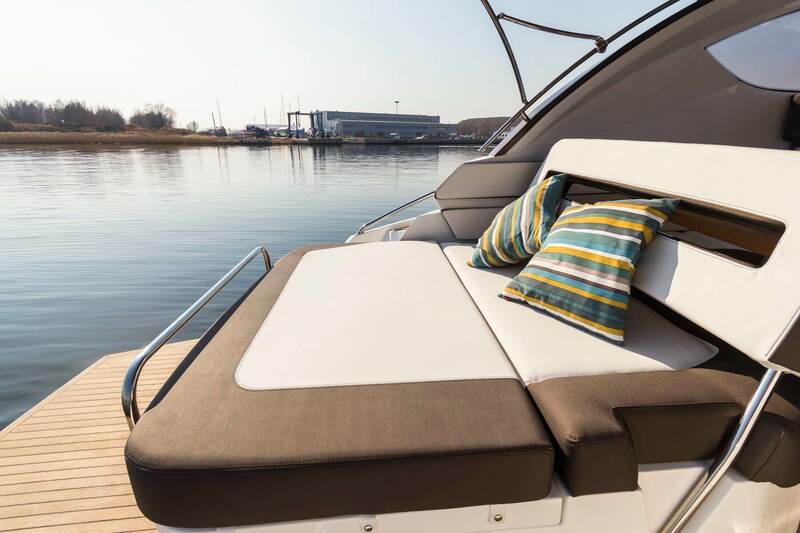 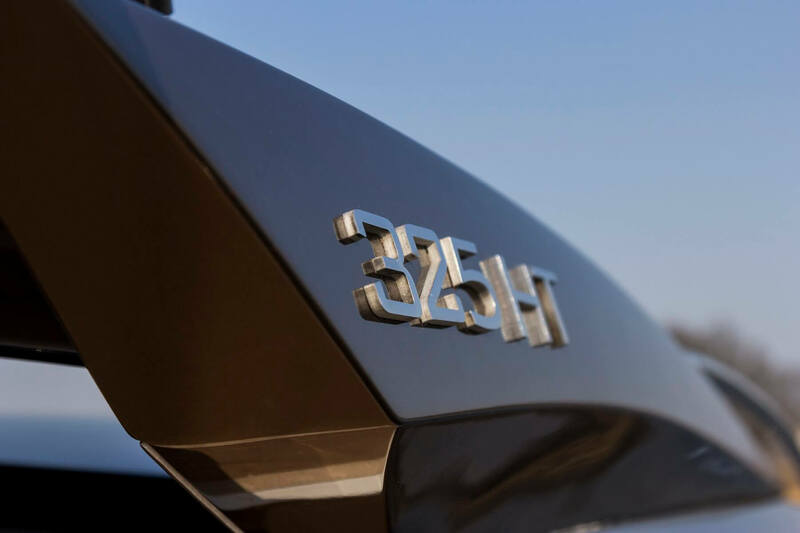 The 325’s hull is coated using a vacuum infusion technology which helps to save weight and increase maneuverability, top speed and cruising distance. 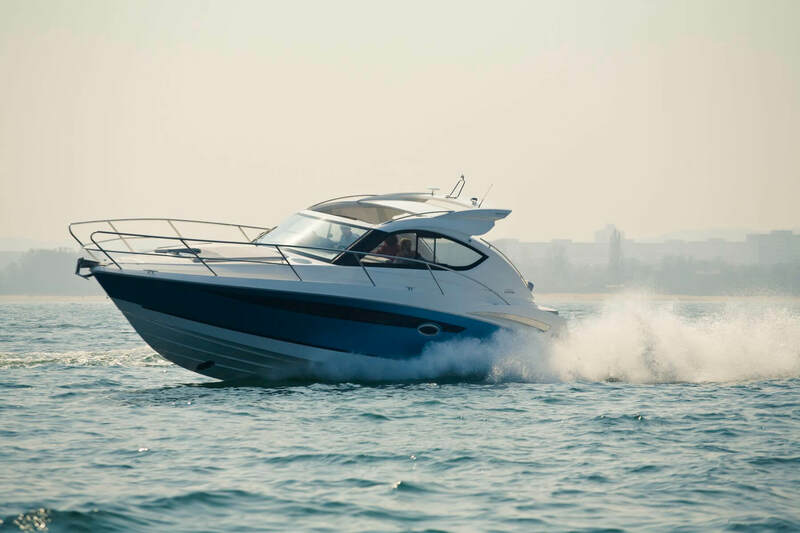 With a wide range of petrol and diesel engines top-notch performance and a thrilling ride are a given. 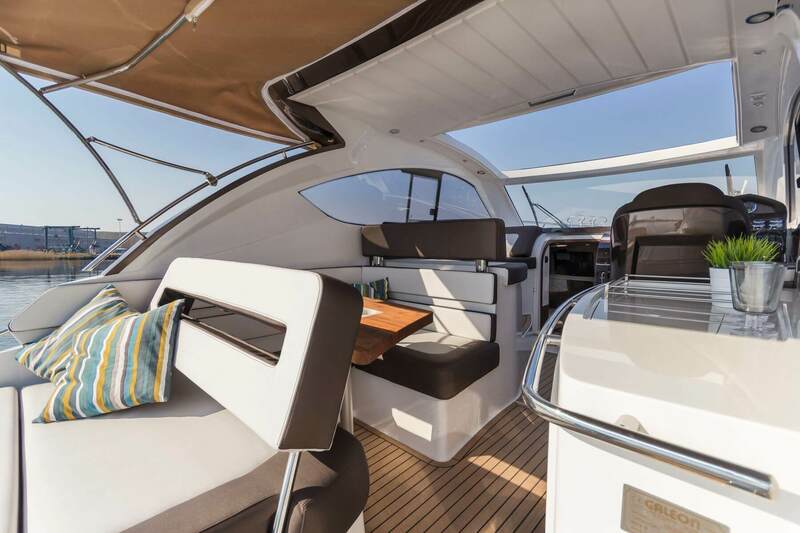 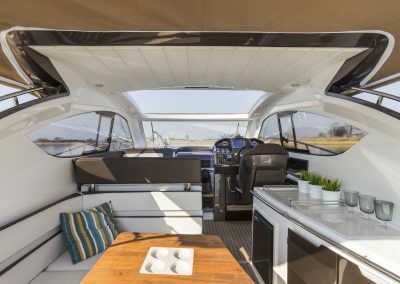 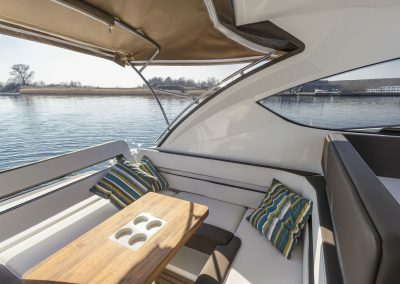 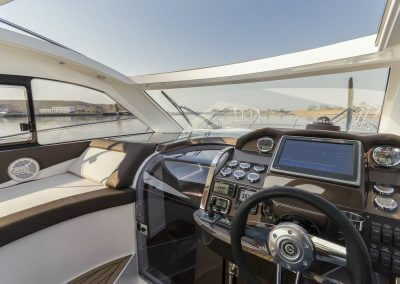 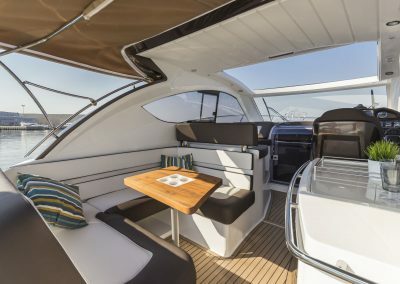 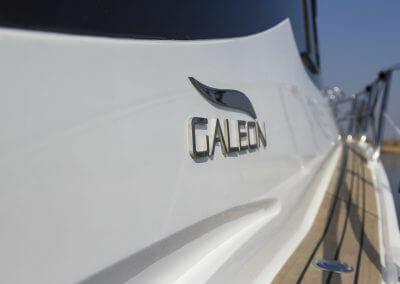 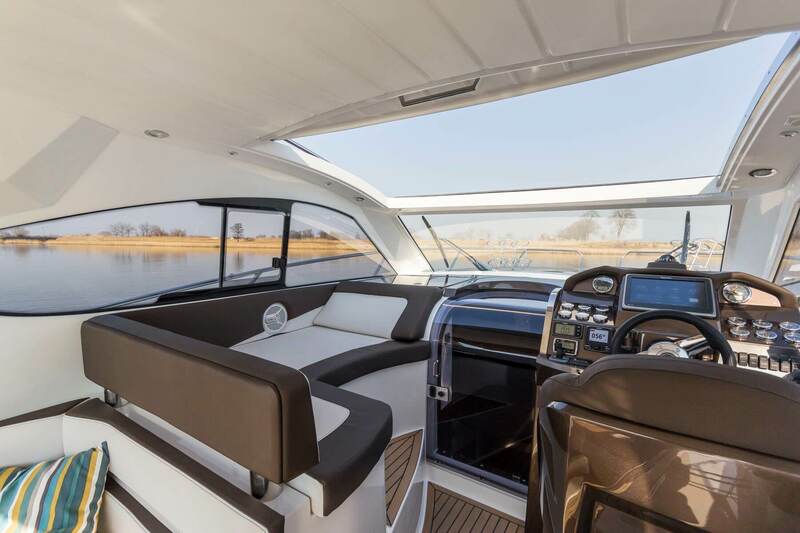 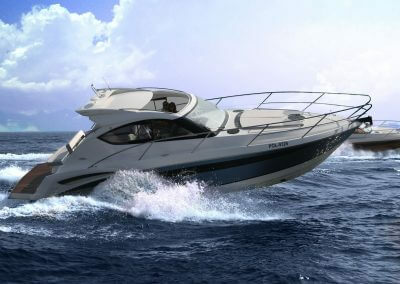 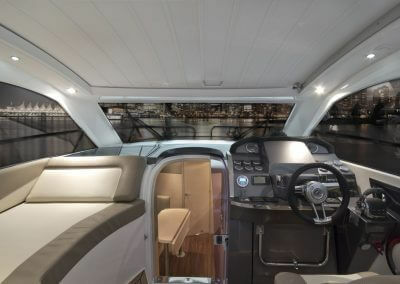 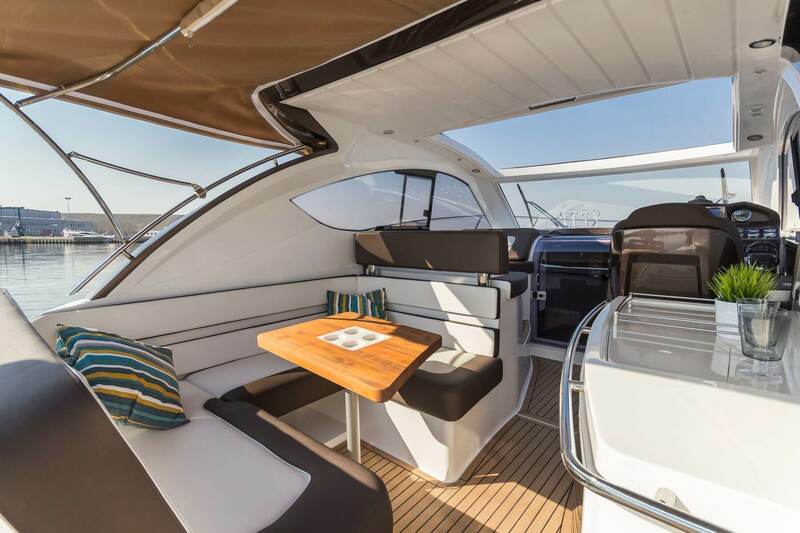 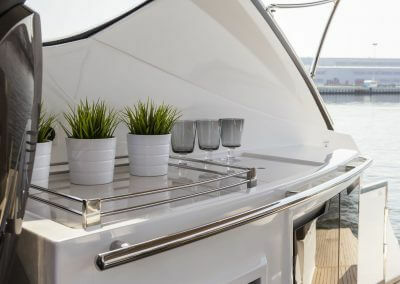 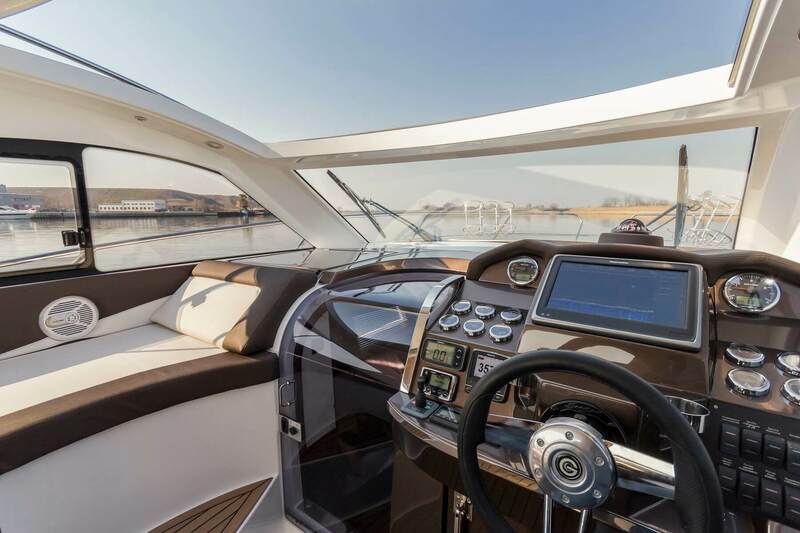 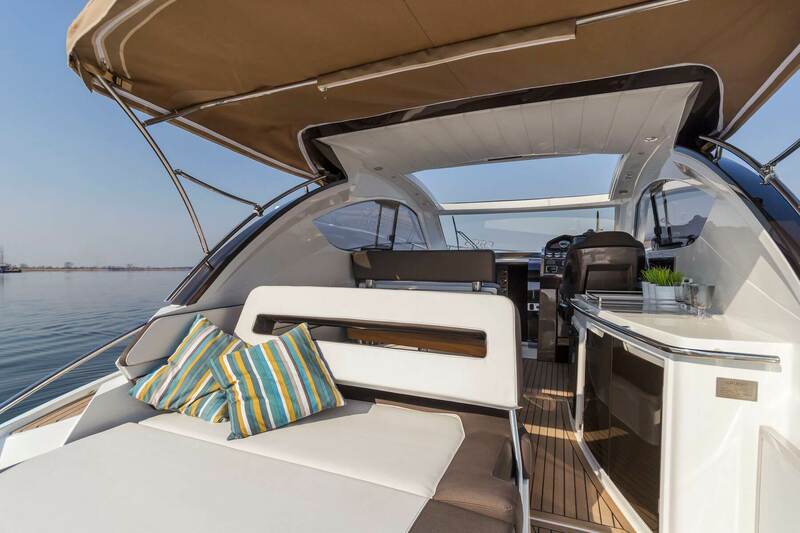 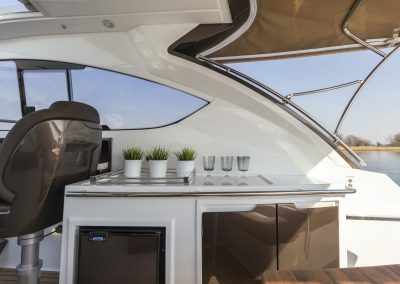 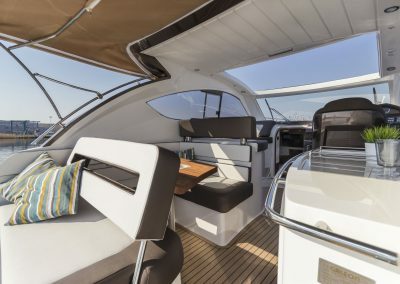 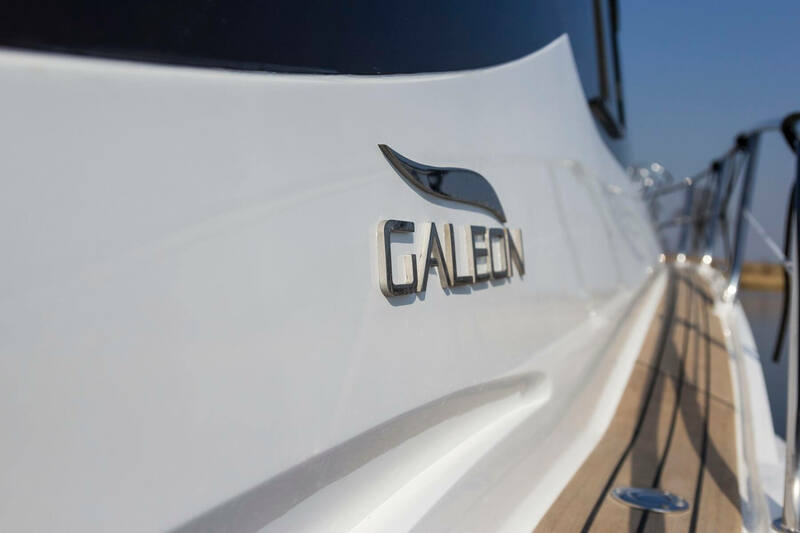 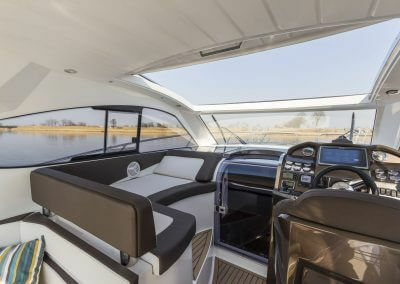 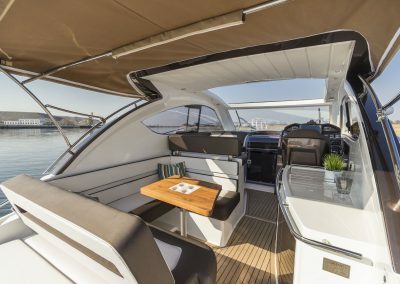 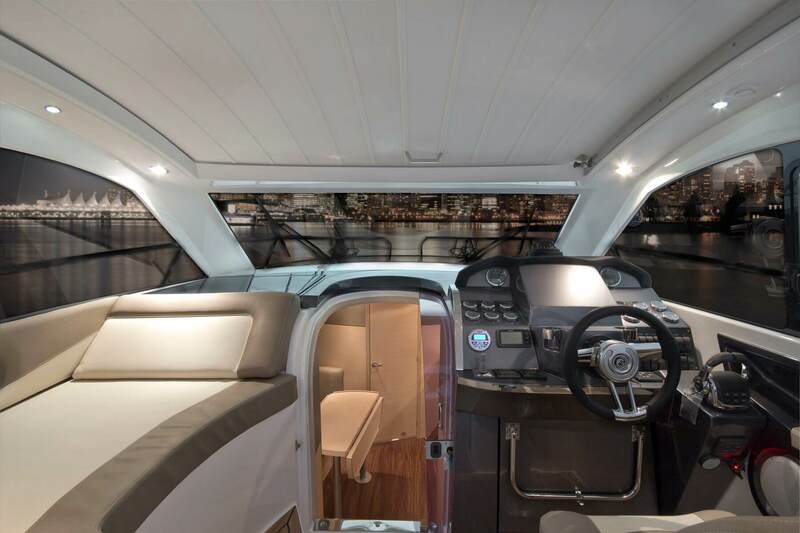 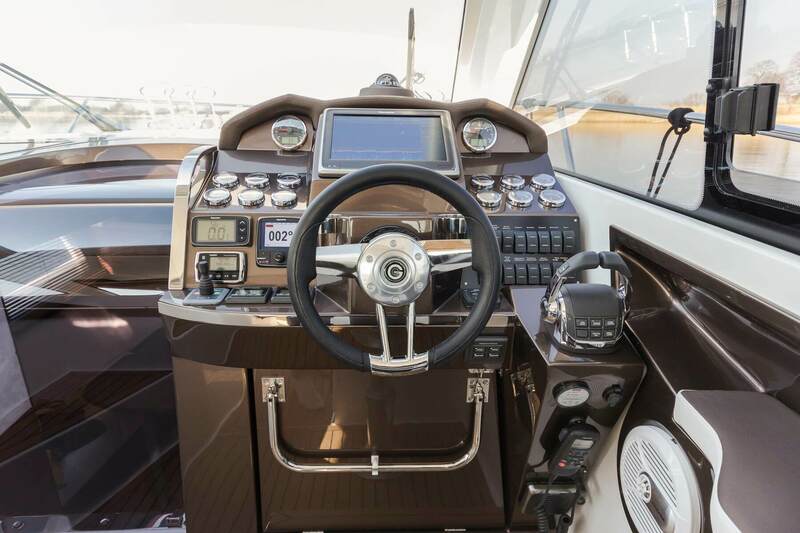 Galeon 325 may very well be the most exciting boat in its class.